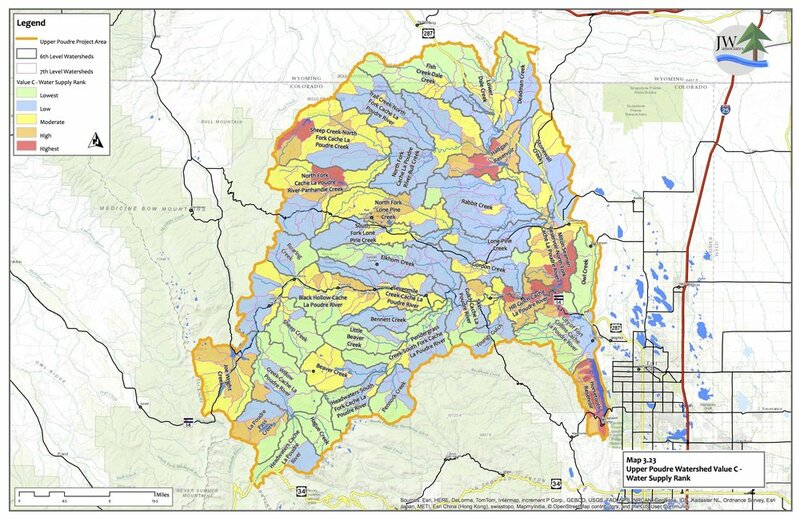 This project in the Cache La Poudre Watershed has two components. The first is to identify the remaining post-fire priorities for restoration from the High Park Fire of 2012. 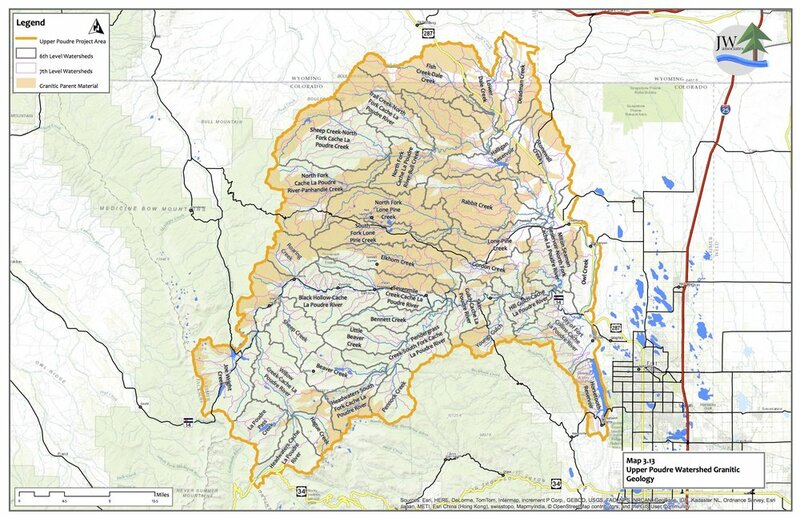 The second part of this project is a watershed plan that would create a more resilient Upper Poudre Watershed. This project was completed for the Coalition for the Poudre River Watershed (CPRW). Following the High Park Fire many different agencies and groups completed numerous mitigation projects aimed at minimizing the negative effects of the fire on different values. Due to different goals and objectives, as well as limits of funding, both in amount and restrictions, some importnat post-fire restoration projects remained. This project identified any remaining post-fire restoration projects and prioritized them for funding and implementation. 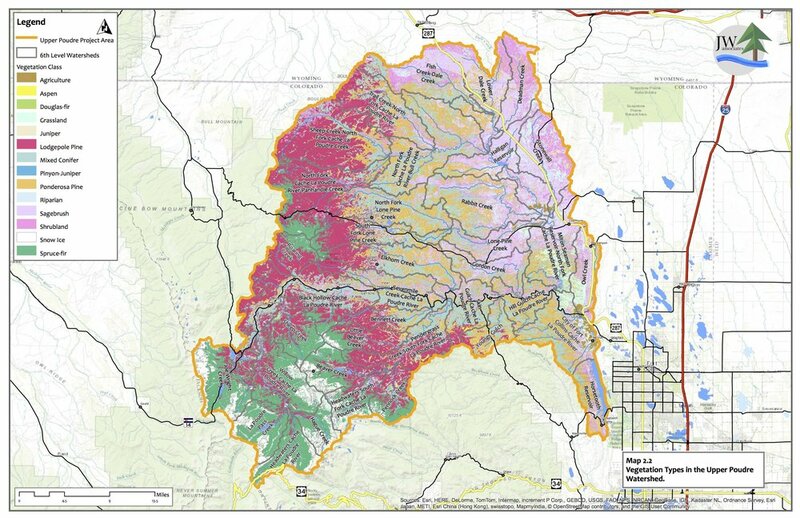 The purpose of the Upper Poudre Watershed Resilience Plan is to analyze conditions in the Upper Poudre Watershed with the intent of improving long-term watershed resilience. The analysis is used to identify target areas and determine priorities and actions within those areas that would increase watershed resilience. Resilience is the central concept because of the diversity of ecosystem services and supplies that the Upper Poudre Watershed provides to our communities, and the long-term need to maintain or improve these services, even under fluctuating environmental conditions. Some of these important ecosystem services and supplies include; clean water, mitigation of natural hazards such as floods, wood products, recreation, cultural heritage, aesthetics, and the recycling of carbon dioxide into oxygen. 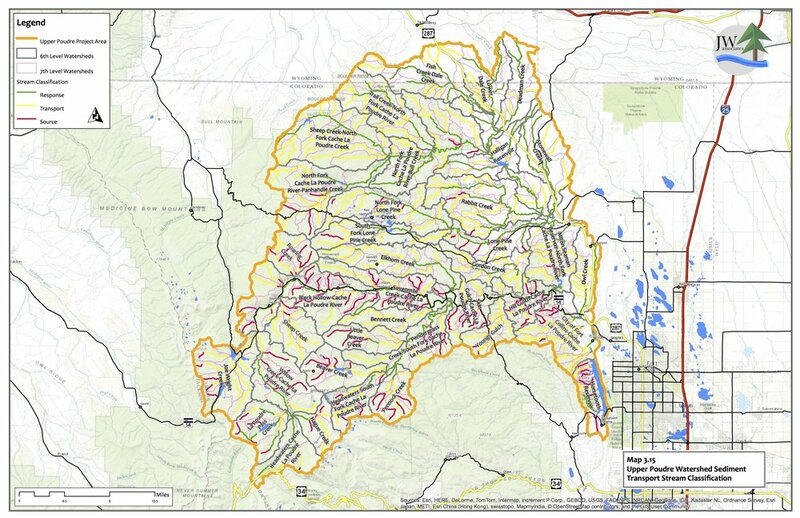 A watershed assessment analysis was completed that prioritized the 7th Level watersheds for the factors within each value. It combined the factors to complete an assessment and prioritization for each value and a composite assessment using all three values created a final priority ranking. The assessment and prioritization maps are in the slide show below. 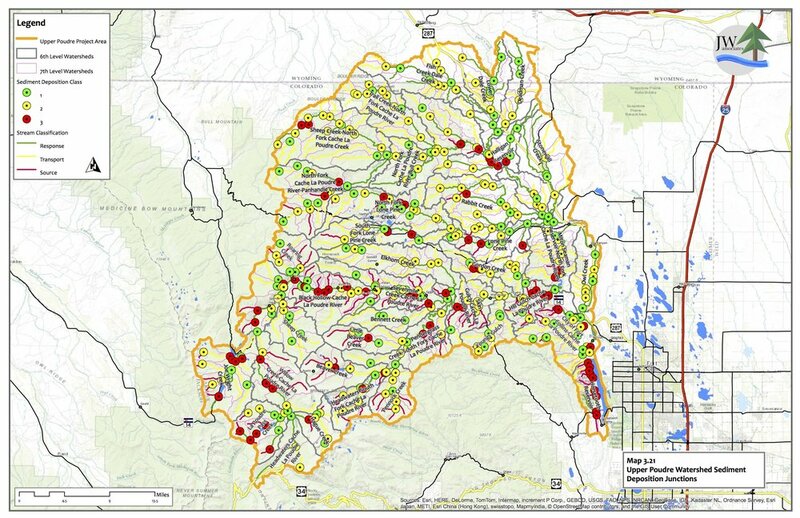 Six priority watershed target areas listed below were identified and actions identified for each of the areas. Actions will focus on increasing watershed resilience. Potential actions are identified in the report. To view maps and figures for the target areas, click here.